Francine is a bilingual singer/songwriter from Ontario and is a single mother of two children. She is a former federal civic servant who gave up her profession and went head first into songwriting.Francine is a graduate of Berklic College of Music Professional singer/songwriter Certificate program. She regularly visits Nashville to songwriting workshops. 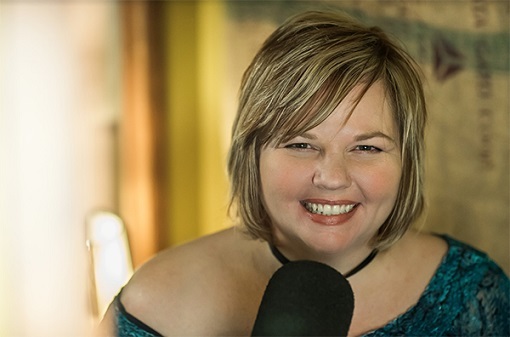 She is a member of the Songwriters Association of Canada, Nashville Songwriters AssociationInternational, The Canadian Country Music Association and Americana Music Association. She co-ordinates the Leamington/Windsor Regional Writers Group mentoring other songwriters. She showcased at the Texas Songwriters Symposium three years in a row, the Winter Folk Blues & Roots Festival in Toronto, The Kingsville Folk Festival and the Folk Music Conference. Her music & song writing has taken her to the UK, Switzerland and Italy. The next chapter in the bilingual singer's memoir includes an EP of francophone songs from the new album, To Be Continued-a set of French Canadian Classics sung by her family at the holidays-A Christmas Album and another CD with Neilson-videos of every song from the new album-performances for her fans and co-write with other artists. Her new CD, To Be Continued, is a journey drawing from her own life, Gamut of emotion, grief of loss and examines PTSD. Her song from her new album, STAY, was a semi-finalist in the Canadian Songwriting contest and the song, MAMAS TAKE BAD DREAMS AWAY,made the top 5 in The Canadian Songwriters contest. For more information regarding Francine Honey, refer to her website,address posted above.